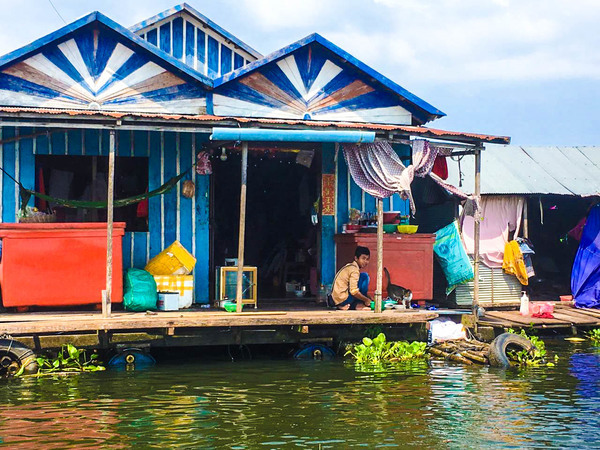 Tonlé Sap is a must-see for adventure travelers and first-time visitors. 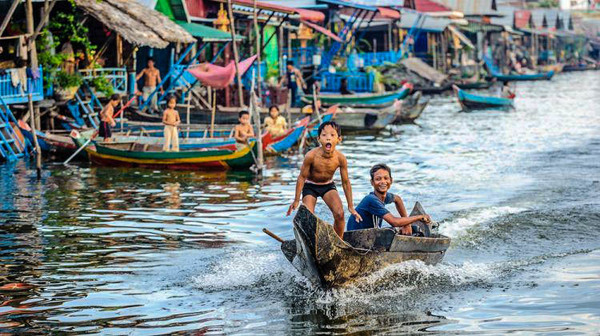 Generally, most travelers choose to experience Tonlé Sap by boat, whether en route between Siem Reap or Phnom Penh or during a daytime or sunset dinner cruise. 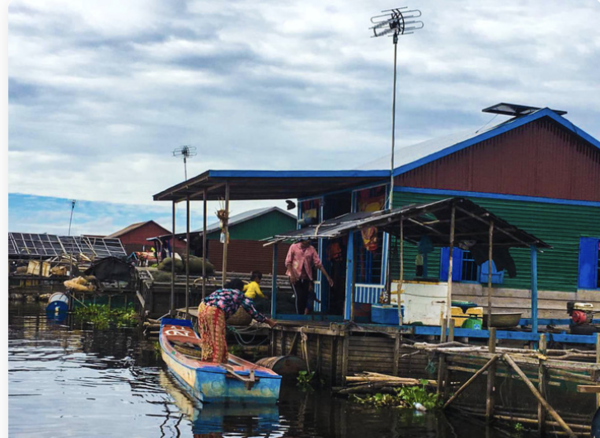 Depending on the option chosen, a sightseeing boat ride might include a visit to Chong Khneas floating village of stilted houses, a fish and crocodile farm, and a meal at a traditional Khmer floating restaurant. Those with an interest in the lake’s biodiversity can opt for a day trip to Prek Toal Bird Sanctuary, a biosphere reserve that’s home to more than 150 bird species. Most tours of the lake depart from Chong Khneas, located 7.5 miles (12 kilometers) south of Siem Reap. The easiest way to get to the lake is on a guided tour. From November to May—the country’s dry season—Tonlé Sap empties into the Mekong River, making the lake’s natural features much less spectacular. However, if you want to get out on the lake when it’s at its largest, plan to visit during the rainy season (August and September) when the waters reverse and the enormous lake forms. Water levels are at their lowest between April and June. The best bird viewing happens between December and April. Don’t forget to bring sunscreen, sunglasses, and a hat when cruising the lake. Many boat tours on the lake include hotel pickup and drop-off. 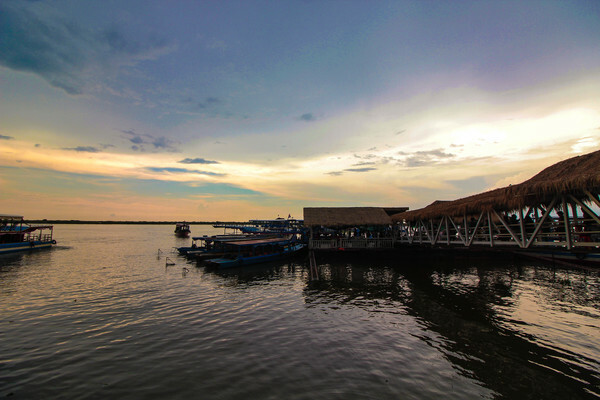 Tonlé Sap day trips can last anywhere from 4 to 9 hours depending on the option chosen. The entrance fee is depending on the number of the guests and sessional of the level of the lake water.